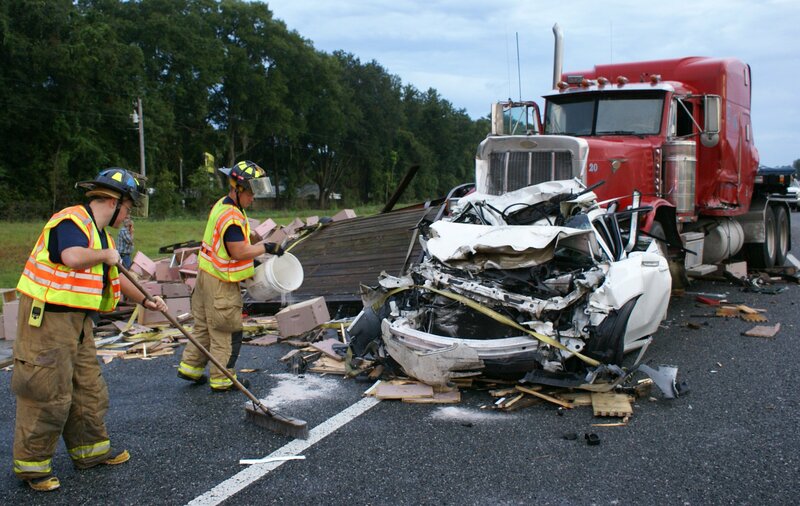 Ocala, Florida — A three car pileup in Ocala shut down southbound lanes on I-75 just south of US 27 causing a big mess Sunday morning. A 2006 Ford F250 pick-up truck was traveling on the southbound side of I-75 in the outside lane when the truck experienced an equipment malfunction. 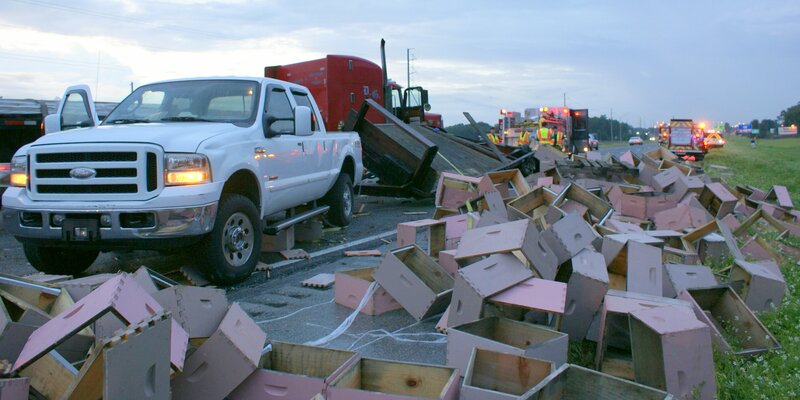 The driver of the pick-up, Michael R. Leach of Jacksonville lost control of the truck which was carrying a trailer loaded with wooden crates. Leach exited the vehicle and attempted to warn other motorists of the debris. Edward L. Farmer of Ocala was traveling southbound in the center lane on I-75 in his 2010 Acura. Farmer was unable to avoid the collision and struck the trailer. He exited his vehicle and moved to the shoulder of the highway. A few minutes later a 1996 Peterbilt semi was traveling south in the outside lane driven by Freddie J. Melson of Kentucky. Spotting the pickups headlights on the Westside of the highway, Melson relized something was wrong and moved over to the center lane, unaware of the Acura and wooden crates. 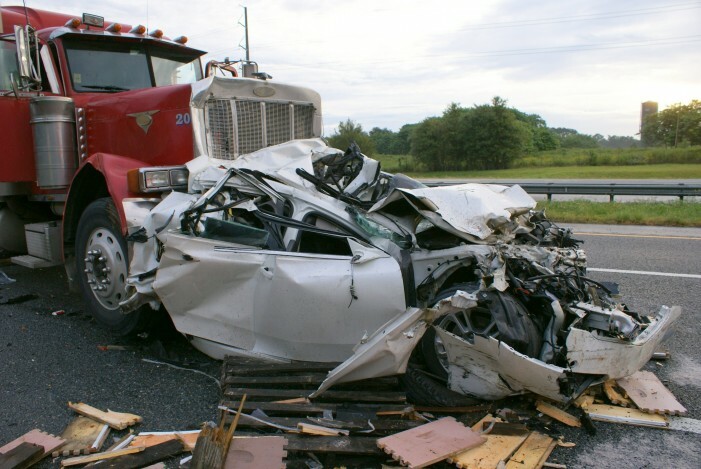 The semi then struck the rear of the Acura, destroying the car. According to the Florida Highway Patrol, there were no injuries involved in the crash and no citations were issued. All three lanes of southbound I-75 were shut down for about 30 minutes. One lane was opened a short while later allowing traffic through. The entire scene was cleared up by 11:30 a.m.